My second day in Kyoto would be just as ambitious as the first. With only two full days to explore the city, I wanted to see as much as I could. Upon leaving the hotel, I headed to the train station, or more accurately, the bus station behind the train station. I got on a bus heading for Ryoanji Temple. Ryoanji Temple is located in the northwestern part of Kyoto, and while there are trains that go not far from it, they aren’t direct or frequent from the center of Kyoto, so a bus is your best option. Ryoanji Temple is part of the Historic Monuments of Ancient Kyoto (Kyoto, Uji and Otsu Cities) UNESCO World Heritage Site. 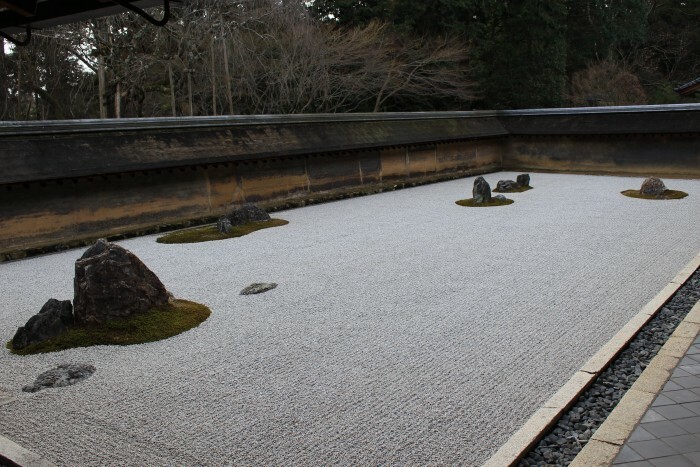 The centerpiece of Ryoanji is the zen rock garden. The rock garden is fascinating. It’s comprised of fifteen stones surrounded by white gravel, but it is not possible to view all of them at once (well, not unless you can somehow fly above the garden – in fact, it is said that the only way to view all fifteen stones is by achieving enlightenment). As you would expect, even when the garden area is filled with people, it is a quiet space, as most people choose to sit on the edge of the zen garden & contemplate. 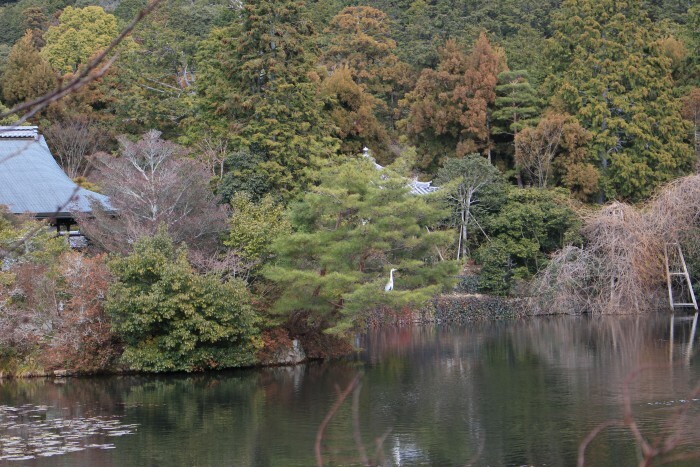 Ryoanji has some other nice garden areas as well, along with a lake in the center. 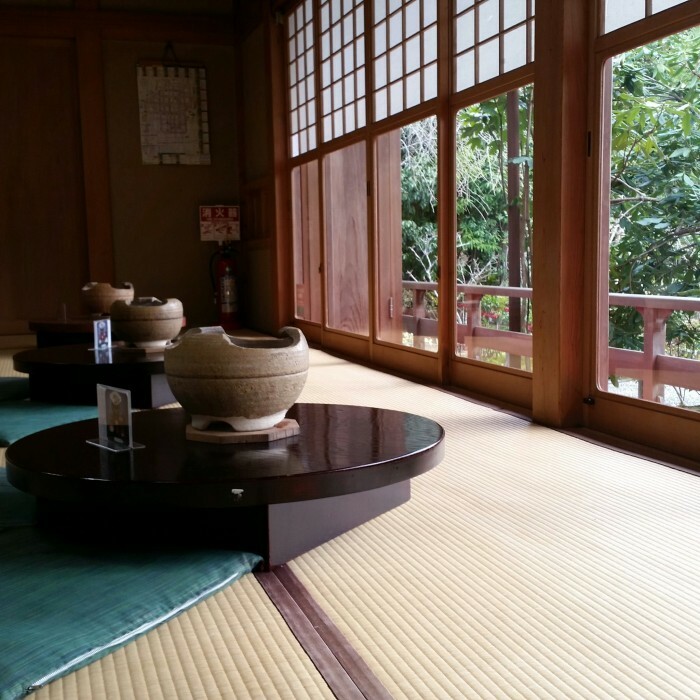 On the shore of the lake sits a small traditional restaurant called Ryoanji Yudofu. 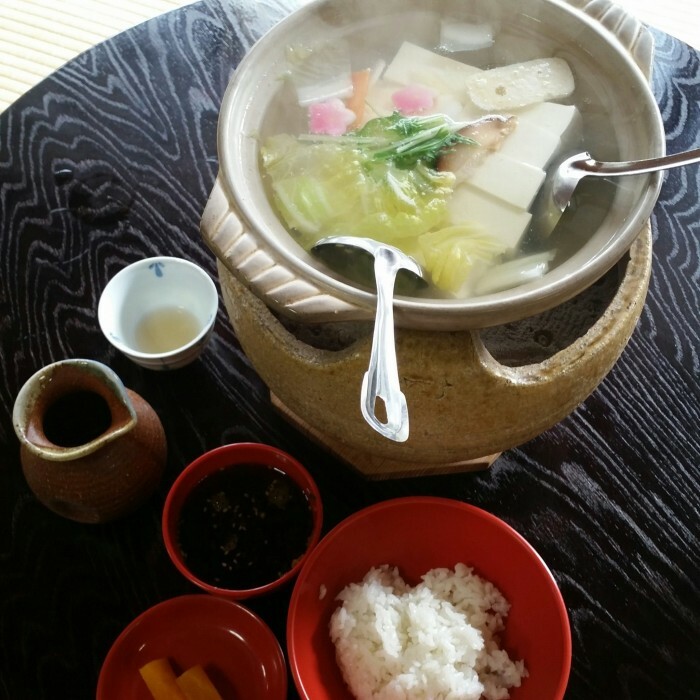 Yudofu is a traditional Kyoto dish of boiled tofu with vegetables. In order to eat at the restaurant, you must remove your shoes (get used to this in Japan), and sit on the floor. You are then seated on cushions, looking out large windows toward the lake. It’s a tranquil place for a meal, aside from the helicopters flying overhead. Protip from an idiot American: The salty broth that is given to you before your yudofu comes out is actually for dipping the tofu into. It’s not, like I thought it was, a soup, so don’t try to drink it. 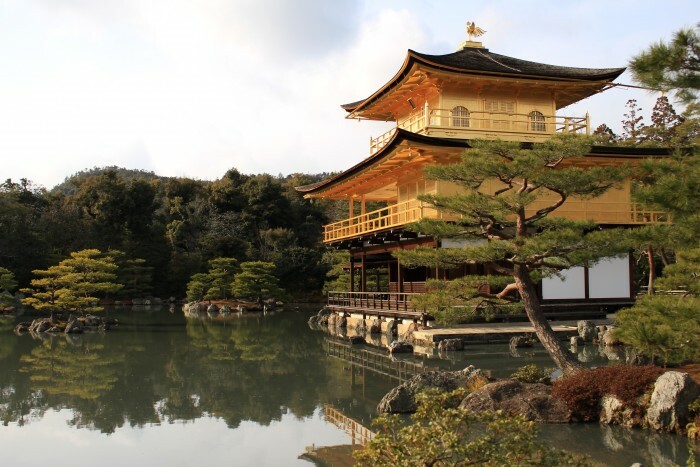 After lunch, I walked to one of Kyoto’s most famous temples: Kinkaku-ji. 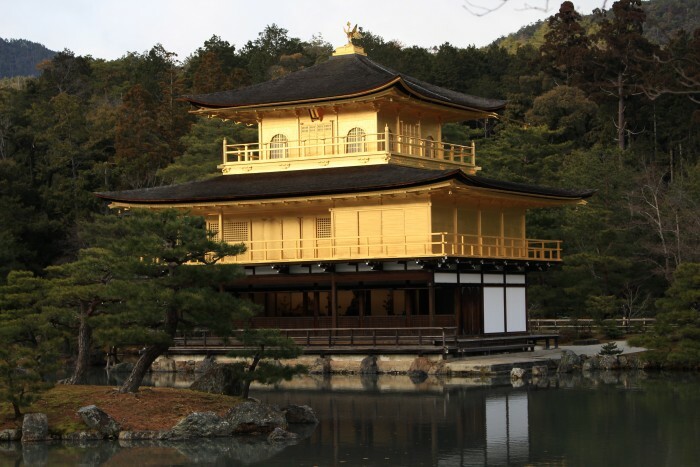 Kinkaku Temple is known as the Golden Pavilion, and upon sighting it, it’s immediately obvious why. The entire structure is covered in gold foil. Even on a cloudy day, the building floats like a gold nugget above a placid lake. I can only imagine how it must look on a bright day. 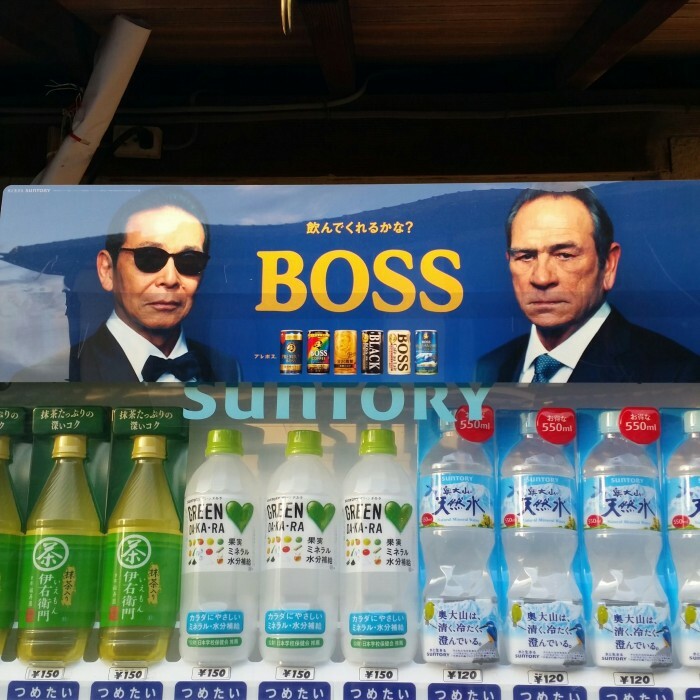 Yeah, that’s Tommy Lee Jones, who scowls at potential customers on vending machines all over Japan. I got on the subway at Kuramaguchi, then took it to the main Kyoto train station. 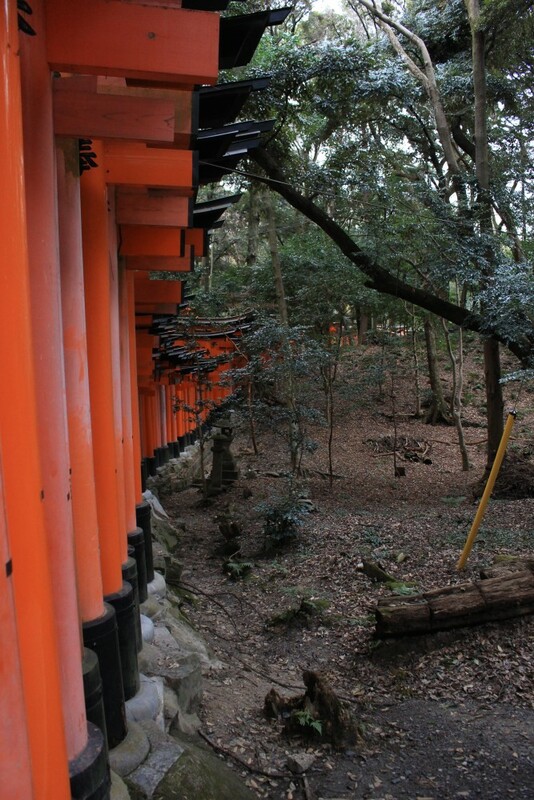 From there, I hopped on a train to Inari, home of the Fushimi Inari Shrine. There are several train lines passing through the Inari area, so it’s easy to get confused. There’s a rapid train that appears to skip Inari, so be sure you’re on the local JR Nara line. 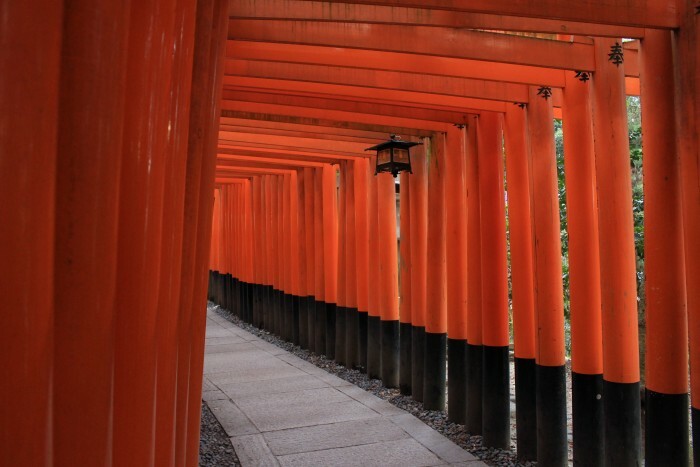 Fushimi Inari Shrine is another of the most famously picturesque sights in Kyoto. 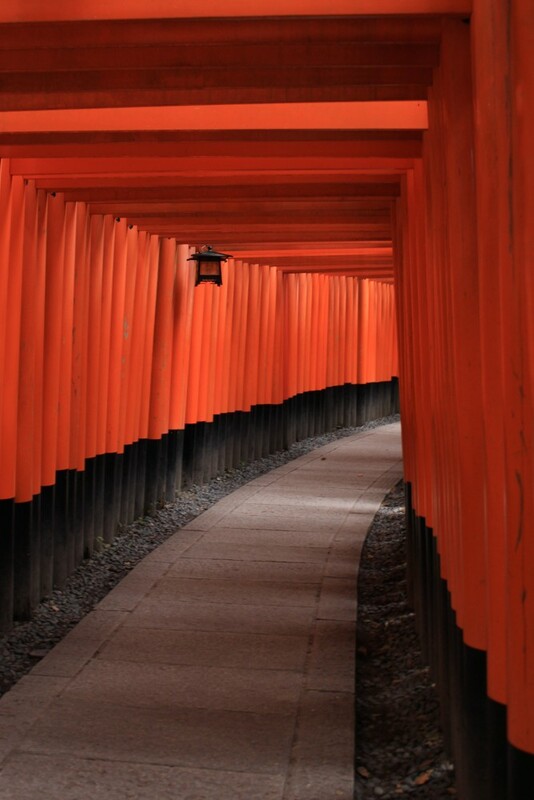 The site is comprised of hundreds of red gates, reaching up into the hills from the base on the outskirts of Inari. The lower levels are very crowded, even in the off season, though this could have still been due to straggling New Years visits. Still, with patience, it’s possible to take photos with nobody in them. 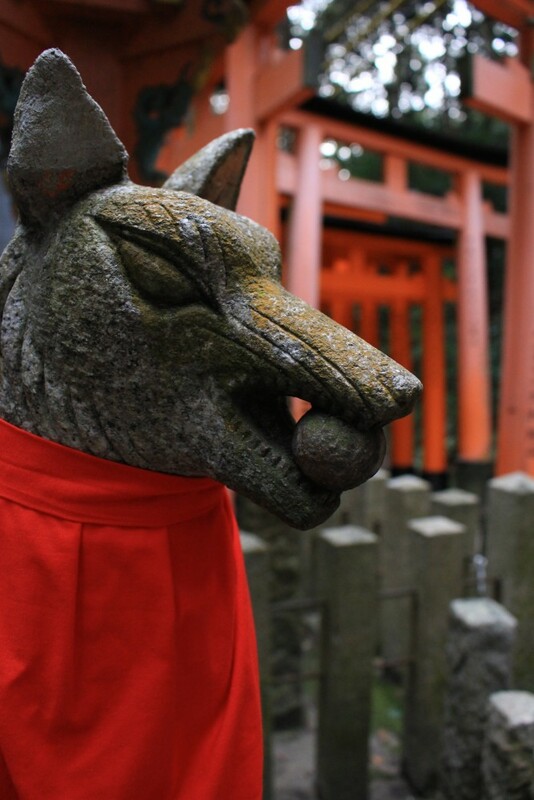 Be prepared to do some climbing if you visit Fushimi Inari. It’s a constant rise of ramps and steps all the way to the top. With darkness falling, I made it only about two-thirds of the way up before turning back. The gates were thinning out, and all of the shops I was passing were closed. 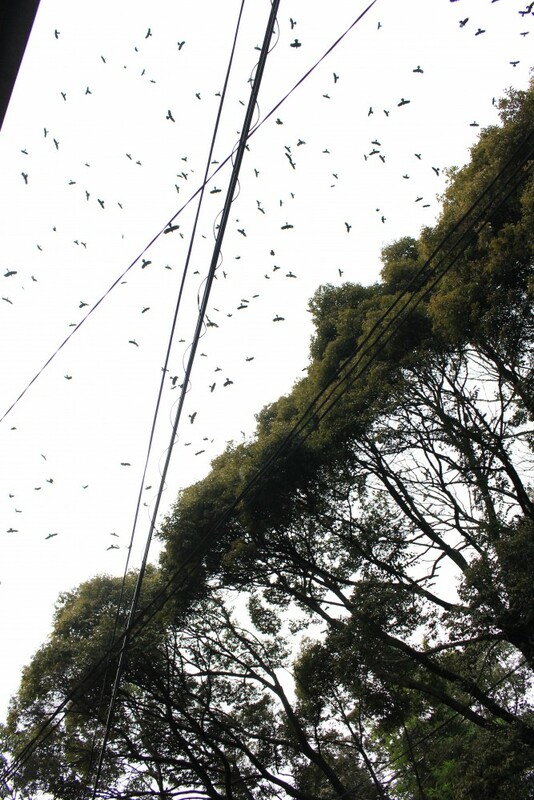 Also, the hills were filled with the echoes of loud birds that were circling above. The lack of activity plus the birds overhead made for a rather creepy experience. Back down in Inari, I stopped for a quick snack. I had to have inari since I was in Inari, and then I also passed a street food stand, where a woman was making fresh takoyaki. 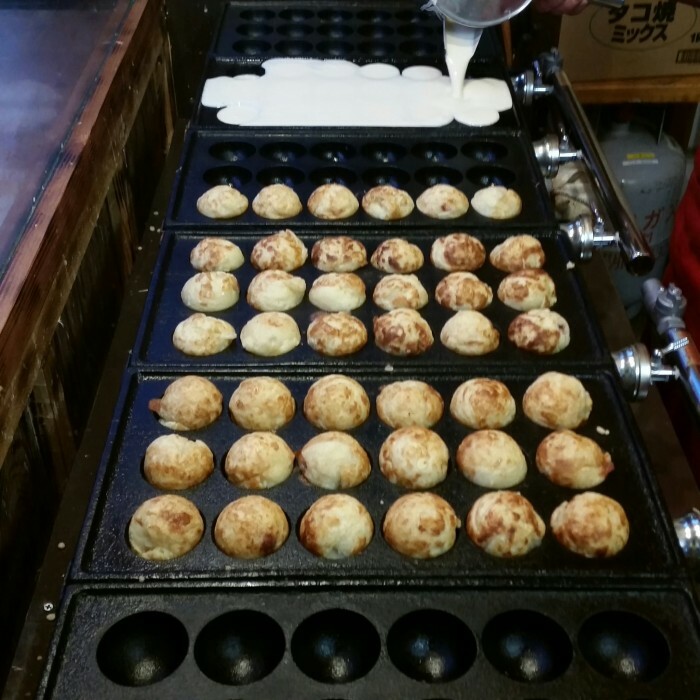 Takoyaki is a Japanese snack comprised of dough balls, often filled with octopus, made in a special pan. It’s delicious, especially freshly made. 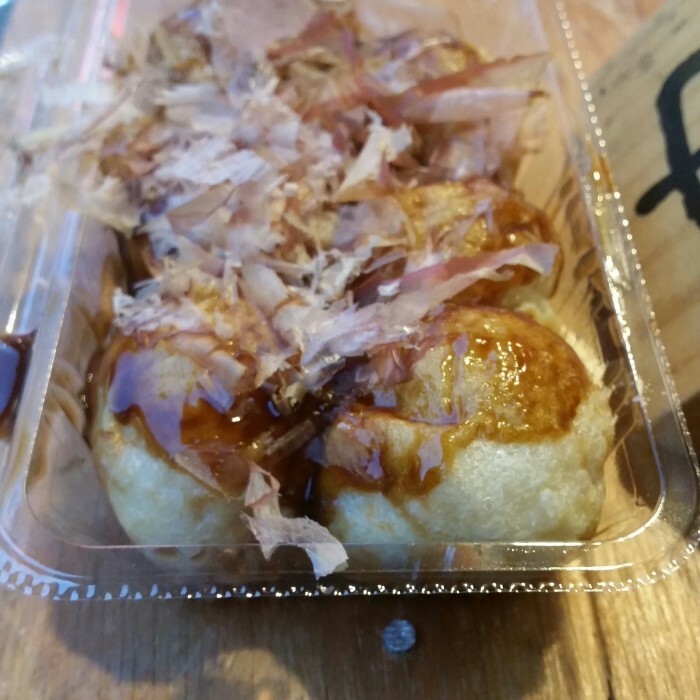 Takoyaki would not be my only local delicacy of the evening. After spending a while out and about in Kyoto, I had late dinner at a place near my hotel called Chibo. 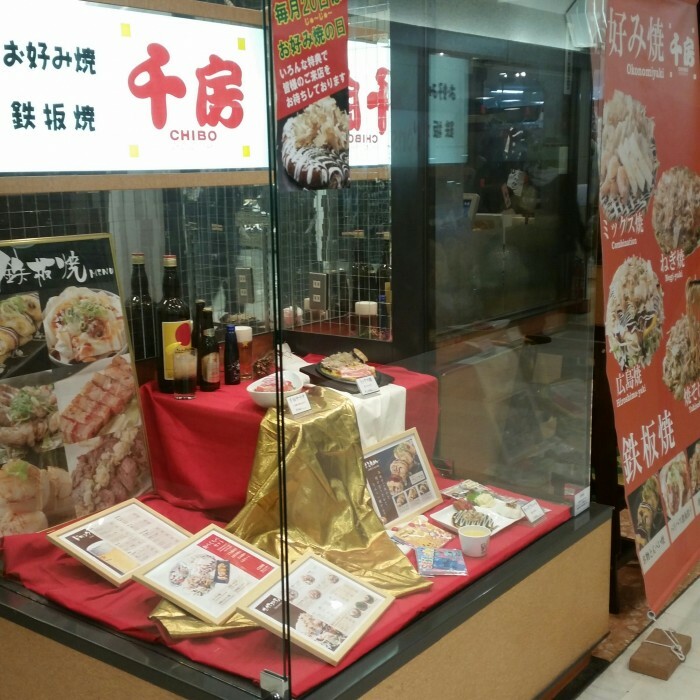 Chibo is known for one specialty: okonomiyaki. 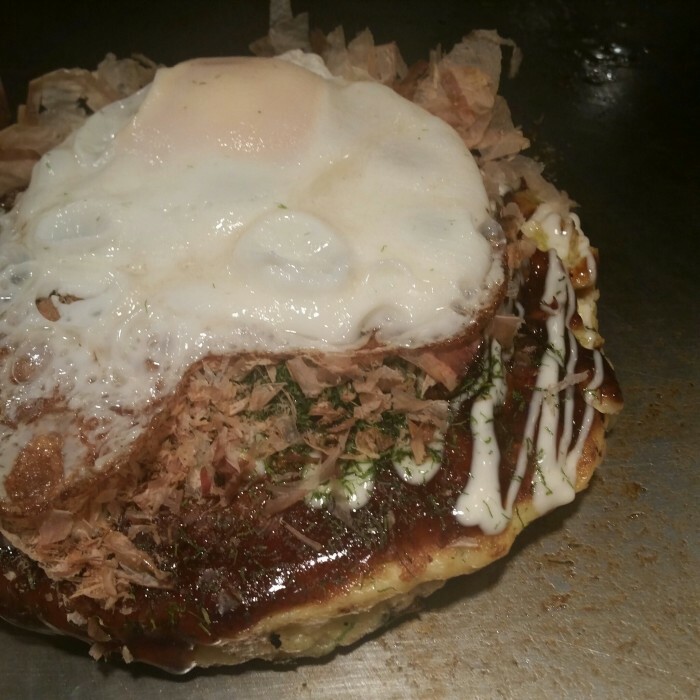 Okonomiyaki is a savory pancake that includes an array of fillings. The fillings vary by region or restaurant or your own choosing. The name comes from okonomi (“what you like” or “what you want”) and yaki (“grilled” or “cooked”). Similar to an omelette-pancake hybrid, it is a regional specialty of the Kansai & Hiroshima areas, though it now can be found throughout Japan. You select your main okonomiyaki option, then pick any additions or substitutions you might like. If you’re sitting in front of the main grill, you can watch it get cooked in front of you. Once your meal is prepared, the chef then pushes it to the outer edge of the grill, where it can still stay warm as you eat it. I opted for the Howa howa, which had avocado, cheese, tofu, pork, cabbage, and eggs, which I added an additional fried egg to because why not. I drank cold sake while I watched my creation being cooked. 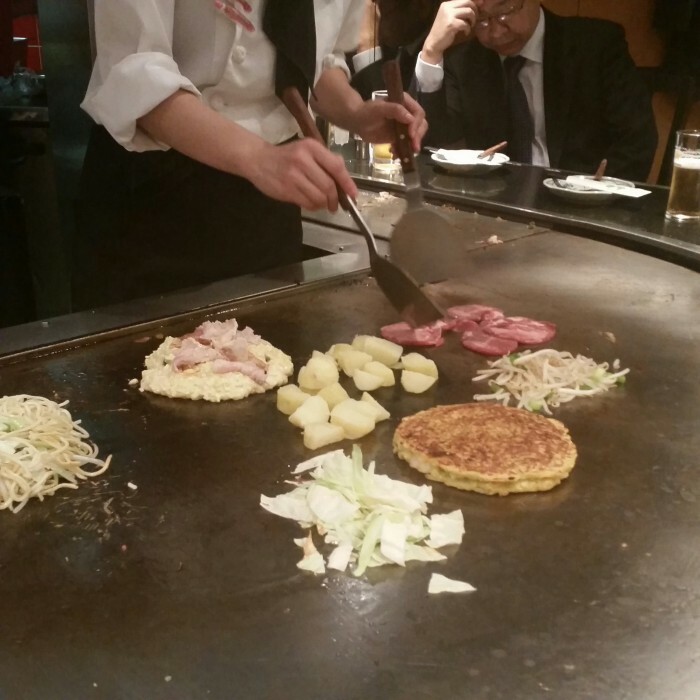 Okonomiyaki quickly became one of my favorite dishes of my trip to Japan. It’s Japanese comfort food at its finest. The combination of the eggs, your favorite toppings, and the rich sauces, are like eating a hug. It’s a great symbol of the warmth of the country as a whole. I’ve mentioned this several times in these posts, but it’s impossible to not be happy when you’re visiting Japan. As always, you can follow me on e-mail, Instagram, Facebook, or Twitter to get all of my latest updates.